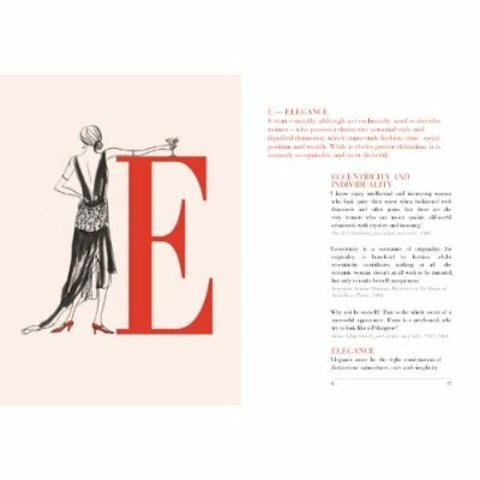 The quotations and definitions cited within this ‘quotictionary’ are drawn from non-fiction sources, mostly autobiographies by fashion designers or their clients and books by curators, fashion commentators and authorities on correct etiquette. (All sources are fully referenced). 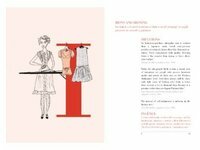 The statements date post 1850, the period which laid the foundations of today’s global fashion industry and they define fashion as it relates to women. 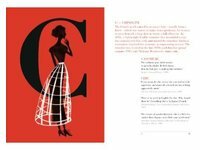 The criteria for inclusion was based upon wit, audacity and sometimes (to 21st century sensibilities) outrage, or for providing a succinct insight into the industry or eras passed. The emphasis is upon historical quotes which are intriguing as evidence of past lives, but also serve as a comparison by which to gage our lives today. Certain eras predominate, notably those following wars, when guidance on how to live new modern lives abound. 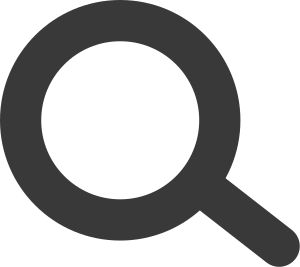 The terminologies of a trade, like those designers who did not create documents for future eyes, can become eclipsed with the passage of time. In order to keep these alive, various terms are defined. 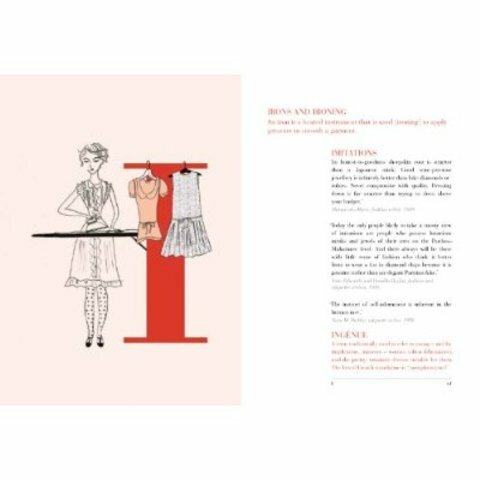 Amy de la Haye brings together the secrets of style from the worlds greatest fashion designers, their famous clients and others from the world of fashion in this delightful illustrated dictionary. 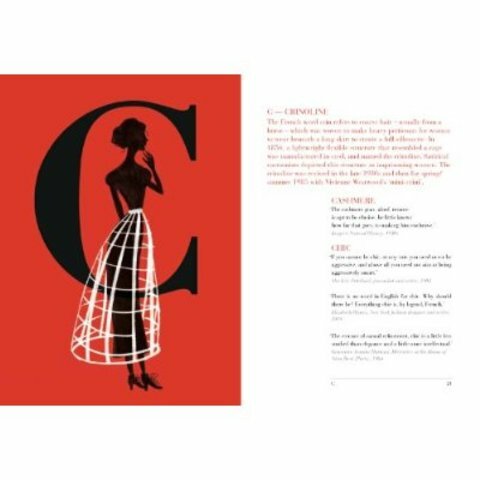 Preserving the wisdom of fashions big names, from Chanel on perfume, to Dior on elegance and Schiaparelli on hats, this charming compendium is illustrated with newly commissioned line drawings of accessories and clothing from the V&As celebrated fashion collection by Emma Farrarons. 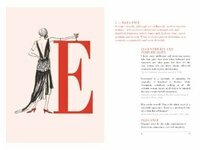 A to Z of Style, a handy guide full of timeless advice, is the perfect gift for anyone with a sense of style or fun.